Out of the 26 films I watched at the Mumbai International Film Festival, there is one film that towered above all the Cannes winners, and now, the Oscar winners: Lathe Joshi. Written and directed by Mangesh Joshi, it is a Marathi film about a man stuck in time. Everyone calls him Joshi, except his former boss, who calls him Lathe Joshi. 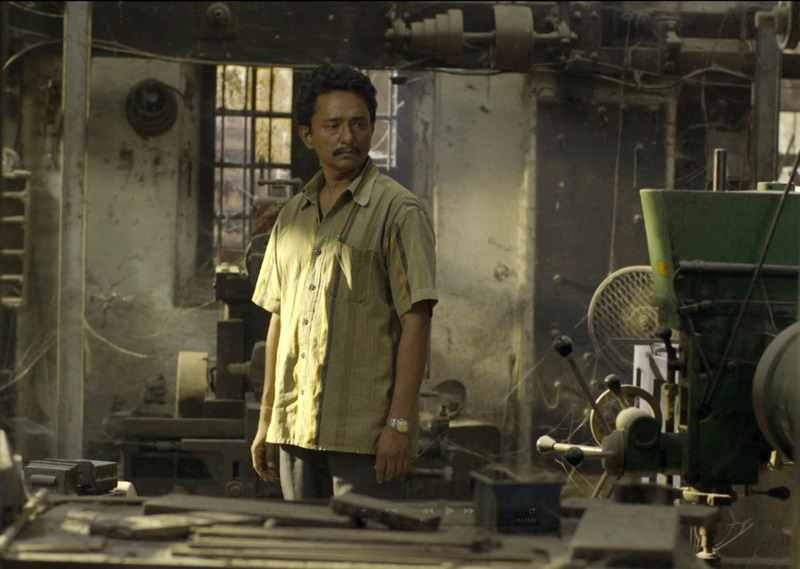 He is an ordinary lathe worker who gets deposed, with a few others, from a factory he has been working in since a long time; automated machines replace them. His wife runs a small catering business from their home and his only son handles a home-based computer servicing business. His mother who suffers from vision impairment, wears big, round black goggles and sits in front of the telly listening/watching soap operas. The film begins with him getting deposed. That day, he works for a long time. A beautiful panning shot that moves across the room, full of lathe machines, to Joshi, sitting under warm, incandescent light, working, for the last time, on his lathe machine. Cut to a close-up of the machine, and Joshi who is relishing these final moments. There is no dialogue, no music. Only the sound of the machine. Enough is said. We know that the film is about Joshi and his attachment to his job that brings him joy. 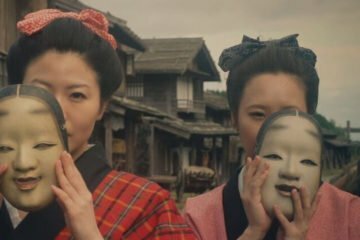 Recently, while writing another essay, I realised an aspect about cinematography. Images are dialogues. They say things through structure, movement, colours, and the actions of the characters. Written dialogues, on the other hand, should show things. I believe it is stupid for characters to say things that we can already see on their faces. If the character is crying on screen, he/she need not say that out loud. The image is speaking volumes. This particular idea is at the root of Lathe Joshi. The images and, at times sounds (not the dialogue or music), are enough for us to understand the characters and their emotions. Joshi does not speak much. His body language, his facial expressions, his gestures, talk more than he does. After getting deposed, he returns home but does not share this new, critical piece of information with his family. Though he is not the sole bread-earner, his contributions do make a difference. Why does he not share this information? It is left up to us to decide. Late writer/director Abbas Kiarostami, while talking about his films, used to say that he wants the viewers to add their own colours to his films. His film, Taste of Cherry is an extreme example. The film depends on you, as a viewer, to make sense of everything that is going on. He does not want to spoon feed you information. Taste of Cherry takes it to the extreme but Lathe Joshi applies this phenomenon optimally. It is abstract but coherent. Mangesh Joshi reveals enough information; he shows the path to the meaning behind his scenes but leaves the journey to us. Whether we take it, find the meaning or not, it’s our choice. The film aptly portrays the life and time we are currently inhabiting. The older generations, particularly, are falling behind in the race with rapid technological advances; just like Joshi. His wife embraces newer technologies which help her with her business. As it turns out, his son repairs the same machines which replaced Joshi in the first place. The son buys a new car, the wife fashions a modern look. All the while, Joshi is trying to get his hands on his old lathe machine at the factory. His refusal to move ahead with time, is portrayed subtly, and quite astonishingly, in one particular, simple shot: Joshi always travels on a bicycle. A wide shot shows Joshi pedalling on a highway, moving slowly on his bicycle. Cars rapidly pass him. Isn’t this an astonishing way of showcasing a character’s beliefs? Or maybe I am thinking too much into it. The film is not just about that. It is a quiet look at urban, middle class families. Its constant attempts to be like the higher classes of the society is highlighted in the film. This recurring urge to be modern is depicted in the film.